What Are Your Go-To Munchies? M&Ms on a Cheese Pizza! This pipe from Chameleon Glass is B-A-N-A-N-A-S. It’s yellow, and you can smoke out of it. How much more fun can a pipe be? Get 20% off your Chameleon Glass purchase at http://bit.ly/21u2q8F! The Gandalf Woody, an original by Chameleon Glass has patented wood grain on a Gandalf sherlock pipe. This one will make you feel like you’re frolicking in the Shire. Get 20% off your Chameleon Glass purchase at http://bit.ly/21u2q8F! This Firefly Glow Vortex Pipe from Chameleon Glass is the perfect piece for you Night Owls. Great for camping, parties in the middle of nowhere, and stormy nights when the electricity fails. Get 20% off your Chameleon Glass purchase at http://bit.ly/21u2q8F! This American-made Homeland pipe by Chameleon Glass is a great piece for the patriotic person, or anyone who has spent time in any branch of the service. Get 20% off your Chameleon Glass purchase at http://bit.ly/21u2q8F! 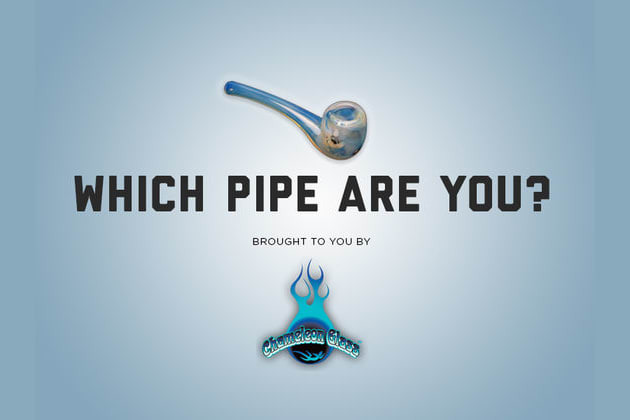 This Cupcake Pipe from Chameleon Glass is a must-have for the smoker with a sweet tooth. Get 20% off your Chameleon Glass purchase at http://bit.ly/21u2q8F! Let us help you light one up, bud.